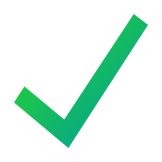 Enabling the monetization of IoT sensor data, turning sunk costs into perpetual revenue streams. Although the concept is great we're a little skeptical on the market size and demand for this project. Team members have proven to be effective in their previous work by providing a working beta, integration isn't fully there however, more than a whitepaper is always good. Whitepaper is clear and effective. Beta product delivers a good sense of the teams developing potential. 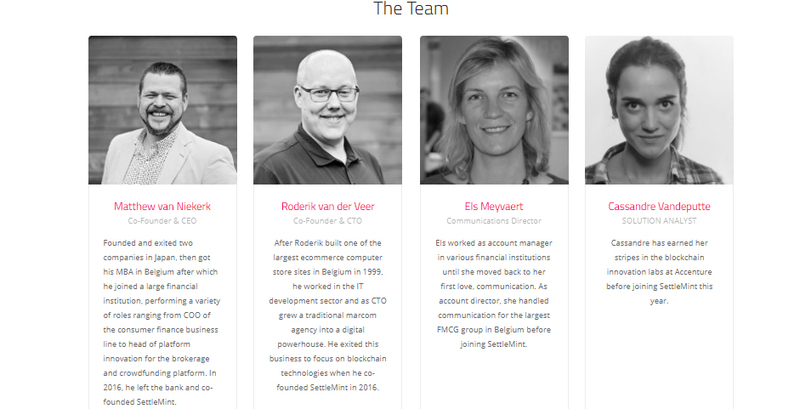 With DataBroker DAO, we aspire to unleash long-tail creativity with the use of sensor data, to facilitate the conversion of incredible ideas into value-adding services. 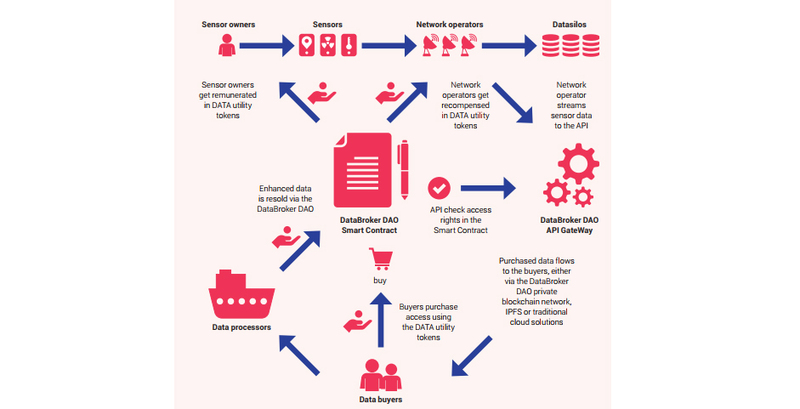 By providing a distributed foundational layer for the buying and selling of IoT sensor data, we expect that unimagined uses of data that exist in the hearts and minds of entrepreneurs, researchers, and organizations around the world, will emerge to create incredible value-adding services that enrich the quality of life in our cities and our societies as a whole. This is a subjective topic but the only feature that appears to be really advantageous are the lower transaction fees. There are many other ways to solve this without having to use blockchain technology. A consistent, value added, raw data stream could be a gold mine that keeps on giving. 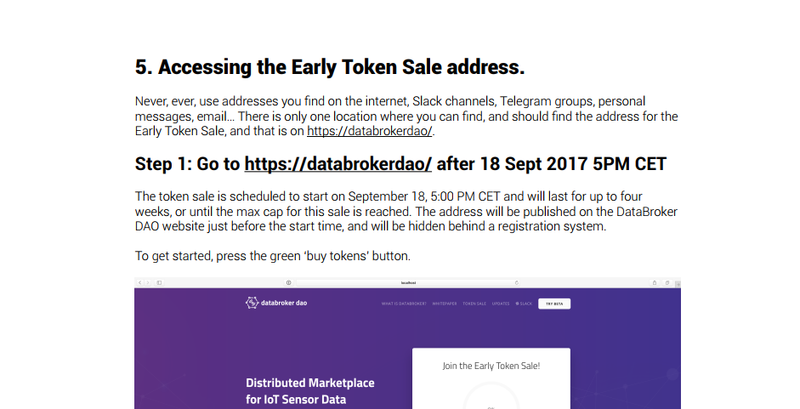 Databroker DAO attempts to multiply our connectivity to worldwide sensor data by creating a marketplace for all sensors that utilize the Internet of Things (IOT) concept. Business is expected to be conducted in several sectors that include commercial, private, and government. Even with a monopoly on data, profit can suffer as there are inherent problems with only providing raw data. 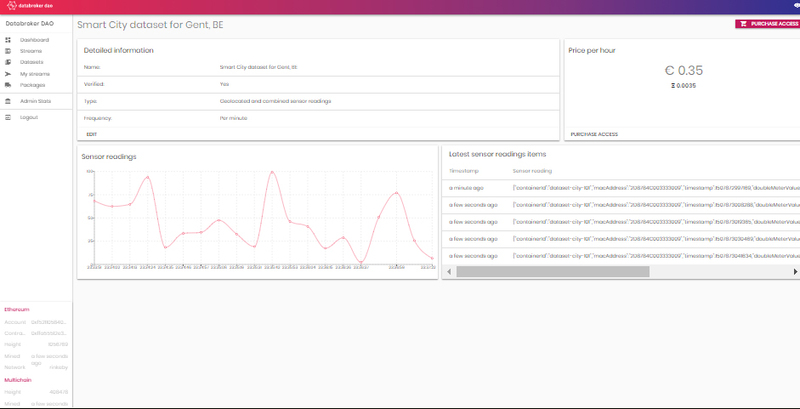 Each data stream would be of more worth if workflow specific functionality was developed to aid in sensor interpretation to a user that acquires the data. Functionality such as chart options, templates, exports, and further customization need to be thoroughly considered. From an investment perspective it's hard to forecast, the project will require enough demand to bring up its token price and right now the demand isn't looking very high.